East Grand Rapids is an Affluent Eastern Suburb of Grand Rapids. The city is known for it's Exceptional Schools, Well-Maintained Homes and Excellent Municipal Services. Compiled of a business district and residential homes the area has many popular destinations and services. 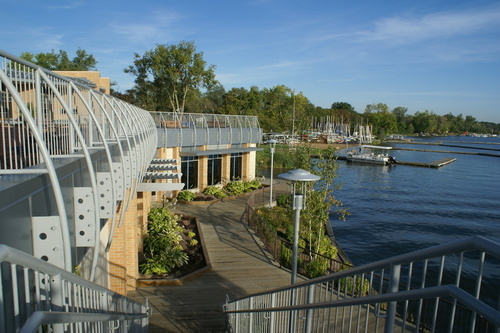 Spectrum Health's East Campus is located within East Grand Rapids as well as the Grand Rapids Yacht Club. The unique area has many specialty shops and restaurants for everyone's enjoyment. Gaslight Village-This quaint lakeside village serves home to many specialty boutiques, shoppes and restaurants. Reed's Lake- A beautiful lake located in the heart of East Grand Rapids. Available for fishing and boating. A good way to enjoy Reeds Lake is from one of the many benches located along the shoreline at John Collins Park. Rose's on Reeds is an exceptional restaurant with the best view in town and another way to enjoy the lake.